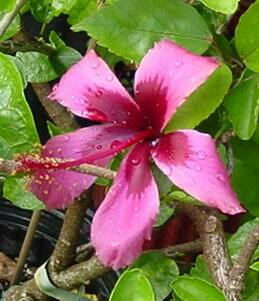 Fiji Island- 5 to 6 inch windmill single...purplish flower with predominant pendant pistil of same color. Easy bloomer. Grows fast.